Remember that little teaser we made for a new set of clothes? Well, here it is! The new get-up to be featured this chilly season: Biker Outfits! We have a sandy blonde-like hair with a blue bandanna for the ladies, and a cool hairstyle in a star-filled blue bandanna for the guys. These outfits also have tough-looking jackets and pants with intricate designs, zippers and belts. These also have long boots to keep your toes comfy as you drive in your bikes, and jewelry that goes well with the overall look. Pretty cool, huh. These dashing biker wear are perfect for your mopeds. 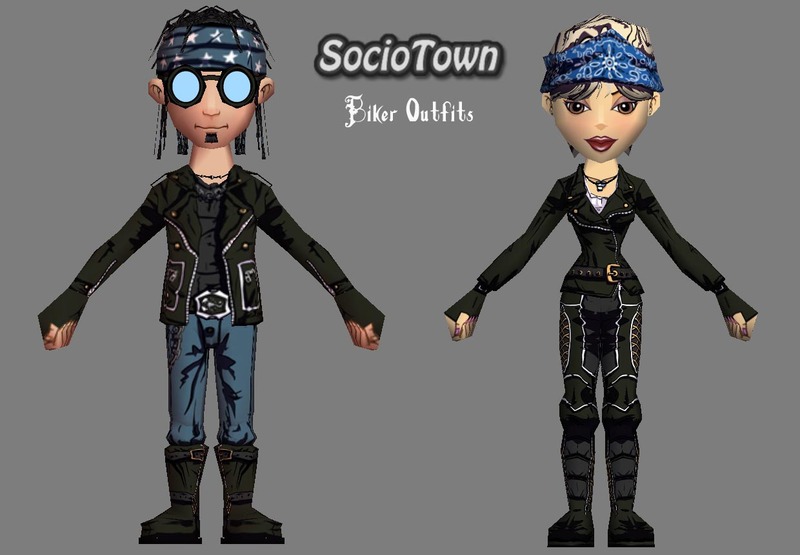 Roam around town riding your scooters in these cool outfits. More info will be released soon, and they will be available in Trendiiz and Gee-Cue in the future, so watch out for them. Remember when we announced weeks ago that there might be new outfits soon? Well, here they are, but still in their teaser form. What do you think they are? Tell us what you think about these new outfits in the comment section below. We’ll be showing it in a few days, so regularly check the blog and Facebook page to know more about it. Yes, you read that right! 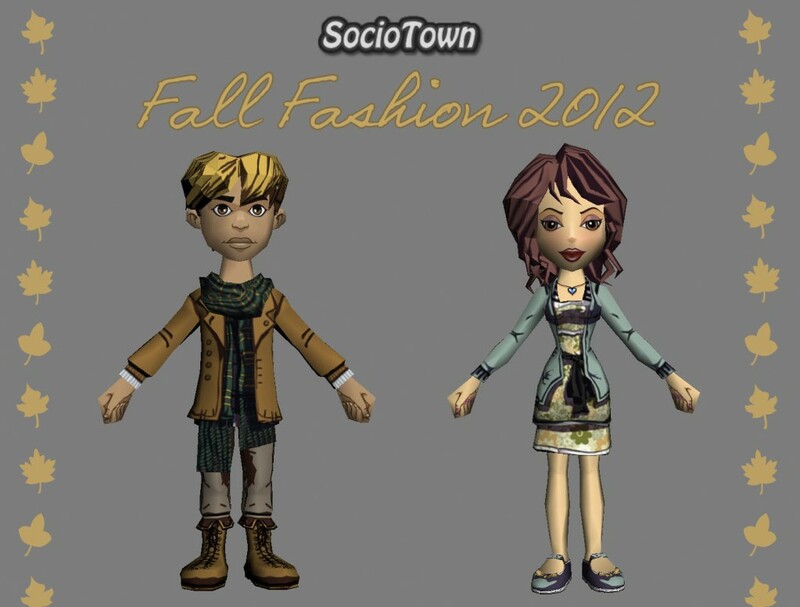 SocioTown will be having a new set of clothes for Fall! For the girls, we have this cute dress with a dark-colored ribbon belt matched with a comfy-looking blazer. The accessory is a tiny heart necklace that matches the blazer’s color. The hair is a bit wavy at its tips, which gives off a cute and girly feel to the overall look. To complete the set, the shoes’ color matches the blazer and necklace, and it has yellow ribbons that compliment the dress. For the guys, we have a brown blazer matched with a scarf. It gives off this formal and cool look, and the scarf is such a good accessory for this outfit. The hair is sort of sandy-blonde that looks good with the blazer. To complete the set, the gray pants are paired with brown boots, which matches the blazer too. These will be released some time next week, so watch out for them at Trendiiz and Gee-Cue. More information about these outfits will be released soon. Meet the new chilly season with style! 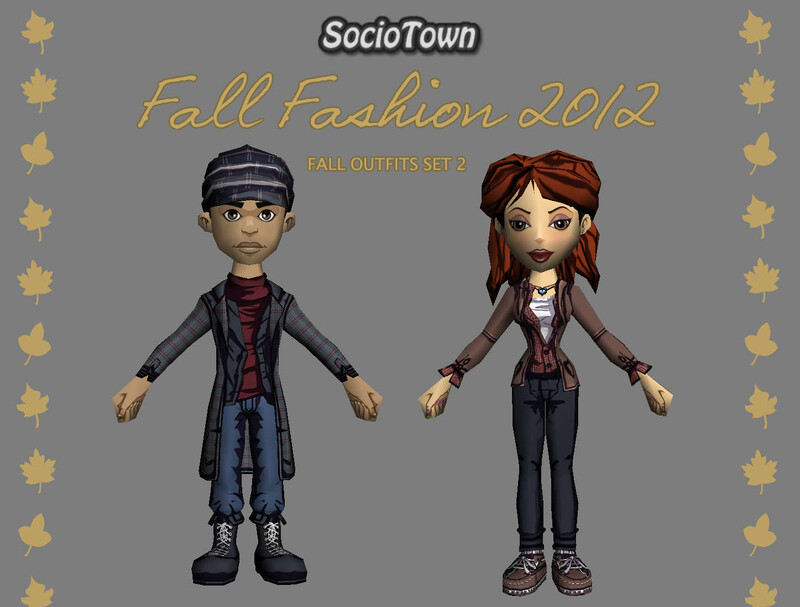 Update: These new Fall Outfits will be available on Saturday, September 15 at Trendiiz and Gee-Cue. They will be for Socians with PR status and the price range for each item is around 60-150+ SoBucks. Happy Shopping! 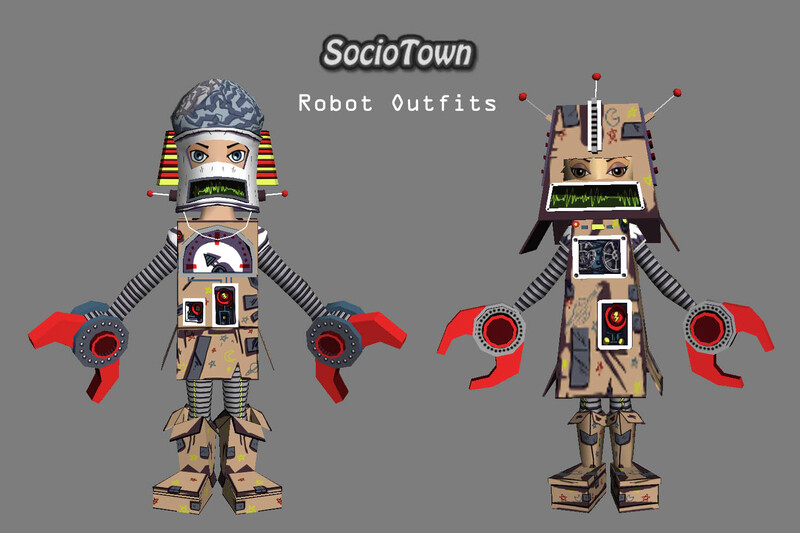 SocioTown has recently released a show telecasting news! 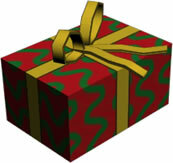 It’s a perfect way to get quick updates on SocioTown if you don’t visit the blog or forum often. Since this is the pilot episode, we’d love to hear your feedback on how to make it better! The Virtual Games has hit town! 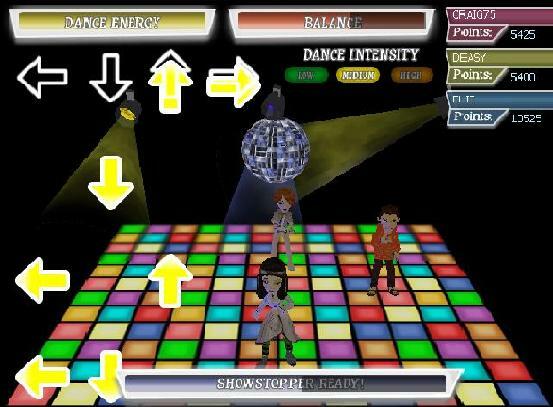 Currently there are two mini games that you can play - Coin Catchers and Dance Dance Socian (the latter is shown at the top). 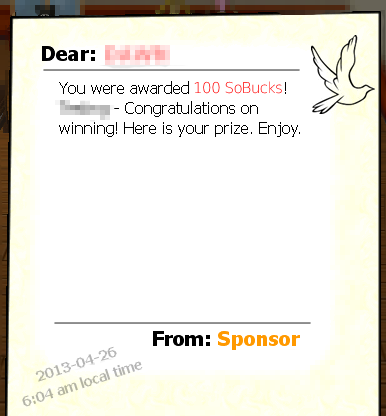 Although you will have to pay an initial fee to play these mini games, you do have the opportunity to earn SoBucks off of them also. You can spot Socians currently playing a Virtual Game when they have ’skeletal’ hands and googles on. Be sure to join in on the fun!